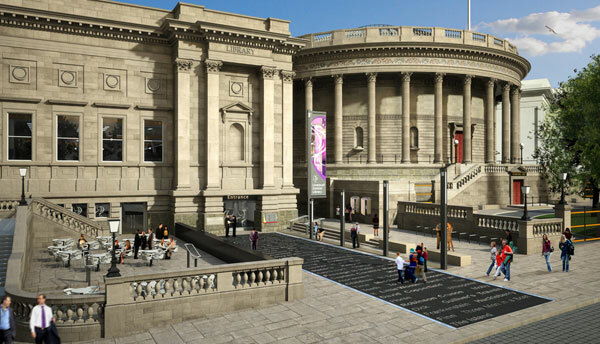 Grade II Library restoration with new entrance forecourt within the heart of Liverpool’s World Heritage Site. As the project landscape architect, Carolyn Willitts was responsible for taking the competition design to planning, and producing detailed drawings and specification for construction. 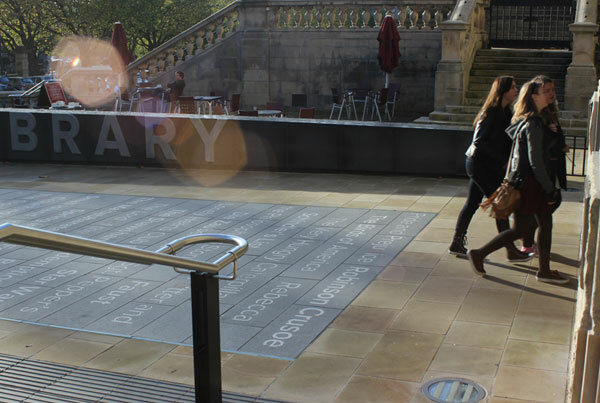 The proposed refurbishment of the external forecourt was designed to enhance the Library’s significance as a cultural destination. 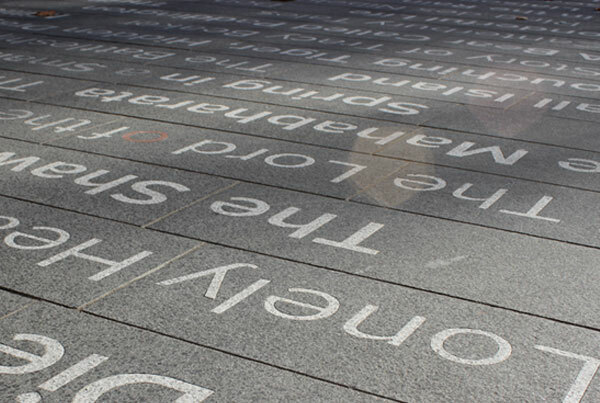 A granite Literary Carpet leads visitors from the footpath to the new entrance door, with waterjet cut lettering by Hardscape referencing titles from the Library’s collection within. A robust granite wall divides the space and provides strong visual signage, while a section of existing stone balustrade is removed to open up views. The existing Library entrance becomes an opening for the ground floor café to spill out onto a café terrace, enhancing the Library’s appearance and animating the entrance forecourt. 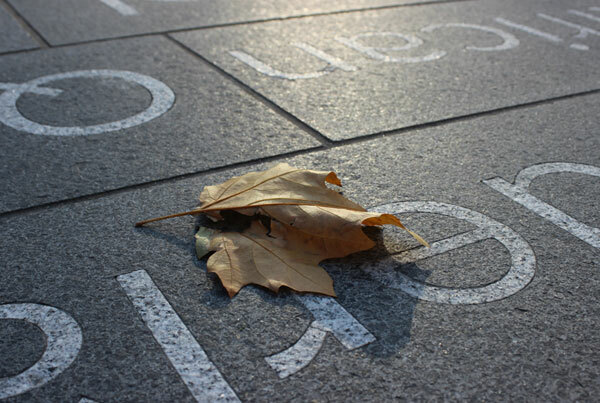 Carolyn Willitts has written an article on using stone for the frontage at Liverpool Library for the Landscape Journal. 3d visualisation created by Lee Taylor.